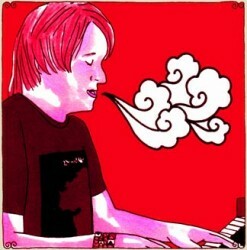 Centro-matic stopped by the Daytrotter Studios recently and recorded a few songs that are now available for download. I, The Kite, Counting The Scars, Gas Blowin’ Out of Our Eyes, Quality Strange, Nothing I Ever Seen, and one of my all-time favorite songs Good As Gold. Previous: Jesse Harris Video – How Could It Take So Long?